The 5pc Wooden Handle Bbq Tools Set including fork,Basting Oil Brush,Kitchen Knife,Bbq Tongs, slotted BBQ Spatula / Turner fixed in a wood case.Each piece contains a set of 4 stainless steel rivets for durable long lasting handle compression. Leather straps to hang on a utensil holster. Optimal length for safe grilling.Maintain the life of your Bbq Set by hand washing and towel drying, and do not use any bleach or chlorine products to clean it. 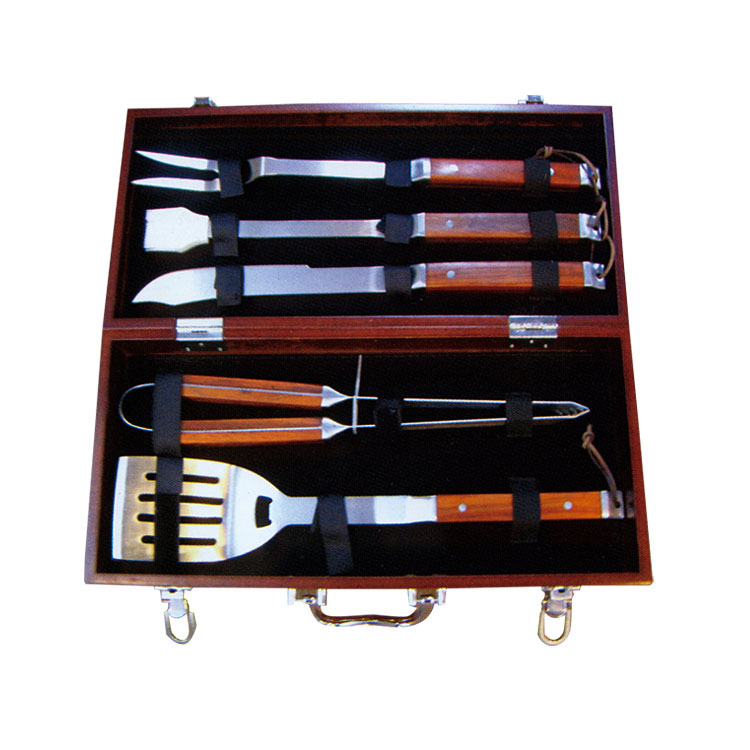 Looking for ideal Wood Handle Bbq Grill Set Manufacturer & supplier ? We have a wide selection at great prices to help you get creative. All the 5pcs Outdoor Bbq Tools Set are quality guaranteed. We are China Origin Factory of Protable 5pcs BBQ Tools Set. If you have any question, please feel free to contact us.